THE MOST TRUSTED FAMILY CLEANING SERVICE IN KENSINGTON! Don’t let a dirty house drag you down when you’ve got Simply Maid to clean it up! We are happy to treat homeowners in Kensington to A-grade cleaning results for an affordable price! Because our cleaning staff is thoroughly vetted and professionally trained with years of experience in the cleaning field, you can expect nothing less than satisfactory service from Simply Maid! We understand the stress that comes with working long hours, taking care of a family and attending to an endless list of additional responsibilities; hence, Simply Maid vows to put in tireless efforts with every clean to ensure that you come home to a neat and spotless home! With a trusted maid service right around the corner, you can rest assured that your home will be spick and span while you take care of personal affairs. All recurring services come with the Simply Maid guarantee. If you're not completely satisfied with your clean let us know and we'll come back and sort it out for free! BOOK A KENSINGTON HOME SERVICE IN 60 SECONDS! The simplicity, convenience and transparency of Simply Maid’s booking process are just a few of the perks that separate us from your average cleaning service. We are not out to make a fast buck or waste your time with upsells and the likes. Simply Maid gets right down to business with a straightforward booking process that only takes 60 seconds to complete! All you need to do is provide a few personal details, select your desired cleaning services and pick a convenient time for us to come by! We offer full-time and one-time cleaning services, along with add-ons for special cleaning requests. These include steam cleaning carpets, washing dishes and deep cleaning kitchen cabinets and refrigerators. While our company guarantees customer satisfaction with every clean, we go one step further by offering a free re-clean to homeowners that are unsatisfied with Simply Maid’s cleaning results the first time around! On top of that, you can also avail a full refund upon cancellations at any given time. What more could you ask for, right?! We communicate honestly. No hidden fees, no surprises, no upsells! Only honest work and trustworthy staff. In order to provide customers with a cleaning experience, they can’t get enough of, Simply Maid spends countless hours in screening cleaners and conducting multiple tests, interviews and training processes before hiring them. Through these efforts, we have managed to put together a team of expert, dedicated and highly trusted cleaners with an unmatched level of integrity and compassion. We are truly proud and humbled to be Kensington’s most trusted family cleaning service around and strive to uphold our reputation through honest dealings and hard work. What’s more, Simply Maid cleaners are incredibly friendly and bubbly with delightful personalities! You can expect our cleaning staff to be right on time, eager to get to work on every occasion! WE ARE RATED FIVE-STAR ALL ACROSS THE WEB! Give us a shot and we'll be sure to suprise you. WE SERVICE HOMES IN KENSINGTON, VICTORIA! Located 4 kilometres away from Melbourne CBD, Kensington is a beautiful suburb with a little over 10,800 residents. 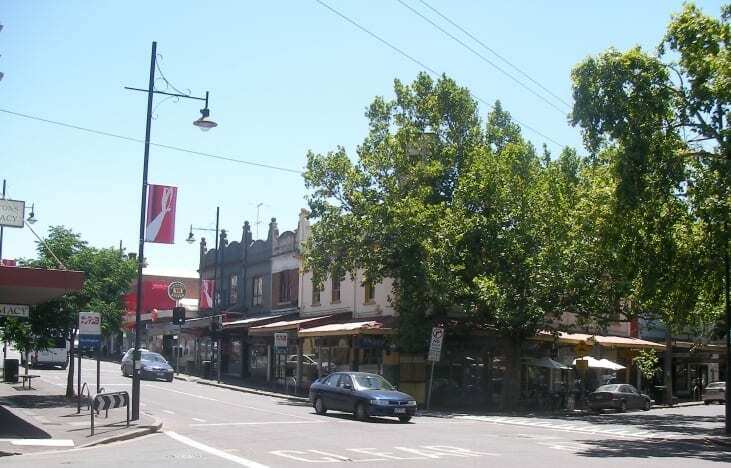 Some of its neighbouring suburbs include Flemington, North Melbourne, Parkville and Footscray. One of the things that distinguishes Kensington from nearby suburbs is its diverse housing styles that range from cottages and Victorian terraces, to modern houses and warehouse apartments. Kensington also offers plenty of cafes and dining hot spots which are predominantly scattered around Bellair Street. If you take a walk along Macaulay Road and Rankins Road, you will also find a few noteworthy places to grab a bite with friends and family. For parks and family recreation, J.J. Holland Park and Kensington Banks are two of the suburb’s most popular destinations. Other open spaces with loads of greenery and more facilities include Women’s Peace Park, Skinny Park and Riverside Park. A really great service - responded quickly to initial enquiry and we were able to secure the clean within a few days. Super high standard and great to deal with. Definitely be using the team again! 8 Bathroom Cleaning Hacks that Will Save You Time and Money! Have You Been Doing Laundry in Your Washing Machine Properly? We were extremely happy with the cleaning job - the two ladies involved worked very hard for our uncle who is elderly. They contacted us in advance on the day, were friendly and did a fantastic job - we can highly recommend them - thank you! Simply Maid = Absolutely fabulous! Damien & Ruchitra were such a great team of cleaners that entered our home on time and with such respect and kindness! There work ethic from beginning to end was nothing but hardworking and their attention to detail was impeccably. We cannot wait to work with them again to continue the cleanliness of our home. Thank you again! We loved your work! One happy household here! Another great clean from Simply Maid. Everything is shiny clean and fresh ahead of the arrivals of my out of town relatives attending my son's wedding. I wanted my house looking its best and it certainly is. Thanks girls.Oct/18 The Simply Maid 3 person dream team swept through my house today. Thanks Nasser, Pim and Bea. Looks great. Don't hesitate to give this company a go. Third time proves it.May/18. Your cleaners transformed my home. I am breathing fresh air again. It is great to look around my home and feel relaxed. It looks wonderful . I have put you in my contacts as I wouldn’t hesitate to use your services again. The guys did such a great job in a difficult time for us. The attention to detail was amazing. Would hire again in a heart beat! Emily and Elle were great; arrived on time (if not slightly earlier) and were very efficient. House looks great! The team arrived promptly and ready to work. We have a dog and cat, and they were friendly to our pets. I heard them talking to Sansa and Stanley as they were cleaning! They were efficient and left a sparkling house! We have signed on for weekly service and I'm thrilled! We highly recommend. I had my first visit from Simply Maid today - Fay and Samuel attended. I'm very happy with the service. The arrived exactly on time and got to work straight away, and did a great job cleaning my apartment. It was done quickly and to a high standard. Happy to recommend and I plan to use them regularly going forwards. Nice to meet you Fay and Samuel and thank you for the great job! A easy booking and confirmation process for Adelaide property. Great communication. A very thorough clean, so efficient and even the cupboard handles were cleaned. Highly recommended. The lovely lady who came to clean was fast, efficient, thorough and friendly. The Simply Maid website booking process was streamlined and easy to use. Highly recommended. The team always does a thorough and outstanding job. I have many allergies including dust so am very grateful to have them come in fortnightly. I met the cleaners on site at a property I was overseeing. They were ahead of time, did a thorough review with me of the items that required attention, and then did a proper clean of the property. Would use again, and have also recommended them to other clients. The team from Simply maid is wonderful. The booking process was easy. I got a couple of reminders before the appointment with option to change if needed.The cleaners were on time, did an amazing job and left the house spotless clean. I can highly recommend this local business. I’ve now had a number of different cleaners through this company and they have all done an outstanding job. Great communication, flexible, easy to deal with and always efficient and effective. I couldn’t recommend them more highly. Have just had my first clean from Simply Maid, and am very happy. It was easy to organise online, there were a couple of reminders and follows ups after the booking too. My cleaner arrived on time and did a great job, am now looking forward to the regular service. Excellent cleaning company. Great communication and great cleaning - its lovely to come home at the end of a busy week and find that Simply Maid have been and worked their magic! Hi Simply Maid Happiness Team,The service was great. I wasn’t there but my sister said the cleaners were friendly and efficient and helpful. Best of all the owners of the house were thrilled with how clean it was. I really appreciate how easy and efficient you made it for me to schedule this. Your company was very understanding and flexible. I will definitely recommend you to everyone I think could use your services.Thanks,Brad. My place looked great after Ernesto and Rita were finished. I was very impressed. My partner and I have been so busy with our fulltime jobs and business and the house cleaning was the last thing on our minds. We called in Simply Maid to clean our place, it looks amazing i feel like were in a hotel its that clean and feel so happy to be in the home. Such a nice feeling for our home to be clean again!!! The team showed up on time, were very friendly and very thorough. I left them to it and when I came home my house looked wonderful! Unlike other cleaners, they picked up and cleaned under every item, and got to those hard to reach spots that I haven't been able to get to. Thanks team! Eileen from Simply Maid did an excellent job with my apartment and it's immaculate now. Very happy with the quality of service provided and the professionalism. Would highly recommend SimplyMaid to anyone looking for a quality cleaning service. The team did a fantastic job cleaning a VERY dirty house after recent renovations had finished - especially as I was notified at the very last minute that the flooring guys would not finish on schedule resulting in a VERY last minute change of appointment time and working on a Sunday. After the team left I felt that the mess had returned to a home. Thanks guys for a sensational job well done. The service is excellent, it's really easy to book, even at short notice. The staff are really friendly too. When I come back to my cleaned flat after work, I always get the impression they went the little extra.I highly recommend using them. I was really happy with the team’s professionalism and thorough job when Moving out of my old apartment. The real estate agent said she had never seen a vacate so spotless. My bond was refunded entirely. Thanks Simply Made! Oct/18 The Simply Maid 3 person dream team swept through my house today. Thanks Nasser, Pim and Bea. Looks great. Don't hesitate to give this company a go. Third time proves it.May/18. Your cleaners transformed my home. I am breathing fresh air again. It is great to look around my home and feel relaxed. It looks wonderful . I have put you in my contacts as I wouldn’t hesitate to use your services again. The team from Simply Maid were brilliant. All the work was done quickly and to a high standard, plus they were really friendly and nice. Best cleaning crew I’ve had in. The best & friendliest cleaners I’ve ever had. I work from home a couple of days a week so needed cleaners who could clean effectively whilst I’m at home working. They were absolutely lovely & a superior clean was achieved in a timely manner. The cleaner was on time, very polite and I was happy with the end result. The online booking system was great. I will use Simply Maid again. We used the Melbourne group. Lovely team, great communication and fantastic results! Would definitely recommend and will certainly use again! Great service. Great communication. Reasonably priced. Recently used Simply Maid for an end of lease clean. Ken and Kitty did an amazing job. Our rental agency said that our apartment was in left great condition and very clean. We were able to get 100% of our bond back, just as Simply Maid promised. The communication was above and beyond, and put me at ease during the stress of moving. Caroline, the owner, was fantastic to work with. Answered all of my questions, emails were sent with reminders, and the online portal was easy to use. Ken and Kitty called on the day of the clean to suggest an additional service, very much appreciated as it was an oversight by me. Again, left the apartment in great standings. I will definitely be using Simply Maid for future cleaning needs. Thanks to Ruvini for a lovely clean home. Very pleasant to have in my home and nothing is too much trouble. Also like the easy online communication. Excellent cleaning service! I highly recommend Nin and Danny. They did a fantastic job of cleaning our place and were also very detailed. Truly happy with their service and would love to book them again for our next service. A wonderful service and we couldn’t be happier with the result. Em & Ja did a fantastic job and were both very friendly. Hope to see them again! Your cleaners transformed my home. I am breathing fresh air again. It is great to look around my home and feel relaxed. It looks wonderful . I have put you in my contacts as I wouldn’t hesitate to use your services again. Absolutely loved the service. The teams are super hard workers and did their best to ensure we were happy. Would recommended for all family and friends! Relax and enjoy your home.